The British Gazette » Rio 2016: Cheaper than battleships! 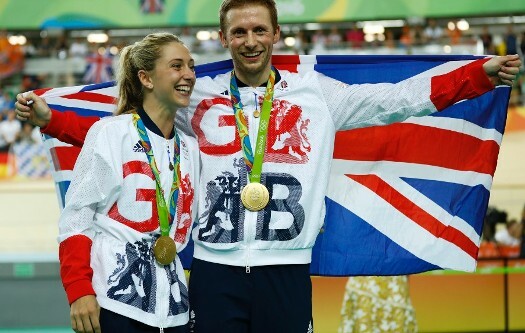 What possible connection can there be between the recent Olympic success of Mr Jason Kenny and Miss Laura Trott and the pre-Dreadnought battleship, HMS Dominion? We hear you ask Dear Reader. So there you are then! OK then, what about HMS Dominion. Where does she fit in? Well, HMS Dominion was one of the eight ship King Edward VII class battleships, comprising the name ship of the class, the aforesaid HMS King Edward VII, HMS Commonwealth, HMS Hindustan, HMS Zealandia (renamed due to battlecruiser HMS New Zealand), HMS Africa, HMS Britannia and HMS Hibernia. They were known as “the wobbly eight” due to their tenderness in a seaway. They were built at the time HMS Dreadnought was being planned and the Admiralty naturally wanted to avoid building ships soon to be made obsolete. They had reckoned without the Daily Express however. The newspaper launched a campaign; “We want eight and we won’t wait!” demanding the speedy completion of the ships. In the Britain the closing years of the 19th century and the early years of the 20th Century the Royal Navy – much more so than the Army – was the symbol of national pride, national greatness and national power. The support for this was not something that only one side of the political divide supported. This was across both sides of the political spectrum. 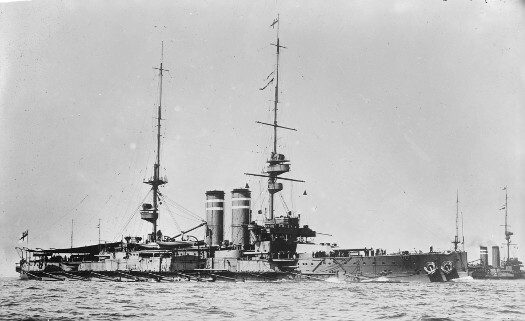 On the outbreak of the Great War in August 1914 the Royal Navy had over 60 battleships (Dreadnought and pre-Dreadnought) – we are not including the ludicrously expensive battlecruisers as these ships lacked adequate protection to engage capital ships and were thus floating crematoriums – as Jutland proved. Today the Royal Navy has NO capital ships in commission and is building two which will commission without principal armament! How the mighty have fallen! Thus not having military forces of much significance and realising that using them (Iraq and Afghanistan) was disastrous politically the British political establishment sought to put something in place to enable the British public to focus national pride and to feel good about the country. This problem was however noted and was in the process of being dealt with at the time of the 1996 Summer Olympics (known officially as the Games of the XXVI Olympiad) in Atlanta, Georgia, USA. At this Olympics, Great Briatin won just one Gold medal.. This was won by the rowers, Matthew Pinsent and Steve Redgrave in the Men’s Coxless Pair race. This poor result caused the British establishment to conclude that “something must be done”. It was. They saw to it that millions of pounds were spent on British sport. This was long term assured funding over many years. The sort of funding that produces results. The source? The National Lottery. By doing this the British establishment realised that they were on a winner. Spending money that was not taxpayers money but lottery money enabled long term support – so necessary as taxpayers money is always subject to political pressure and change of governments. The biggest smiles at Mr Kenny’s and Miss Trott’s success were on the faces of the British establishment as they realise that the money spent has made the nation feel good and proud. This explains the concentration on the Olympics. You see whilst millions of Britons were glued to the TV screens last night delighting in Mr Kenny’s and Miss Trott’s success, these same millions will not be tuning into the other competitions which these two athletes will take part in. Many will, but the audience will be a fraction of last night’s. The establishment realise this as do the organisers of British sport. Both realise that the Olympics are the most important event on the schedule as it is this event that vast numbers of the public watch. There is the old saying: You have to perform on the night! You also have to please the audience! This of course is not new! The Romans knew this: Panem et Circenses (Bread and Circuses). Which is why they built the Colosseum!